What makes you choose to eat at a particular restaurant or watch a certain movie? First impressions affect many of the decisions we make in our daily lives, even some of our preferences. 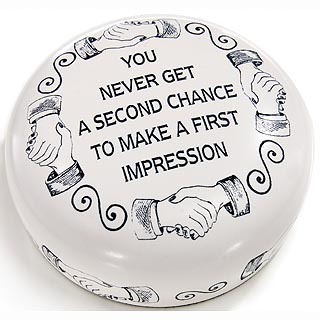 First impressions are the access point for a first chance. Once a bad impression is established, a last impression can only do so much for damage control. Instead of concerning yourself with the ways things could go wrong, stay focus your actions on what you can do to make your first impression a positive one. Here are five tips that will ensure that you'll save face while putting your best foot forward. 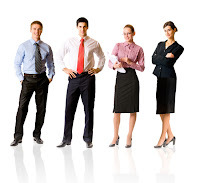 The level of formality in your attire often depends on the type of workplace and culture of the company. Nowadays there is such a thing as overdressing. Some companies embrace a more casual look and may expect the interviewee to have done their homework. A general rule of thumb when it comes to any important occasion, however, is that being overdressed is better than being under-dressed. Always make what you wear match the position you're applying for. Overdoing it with accessories or powerful fragrance can also make a bad impression so keep it simple. It's likely you'll be asked a question that you don't have an answer to right away, or even shortly after, but try to avoid repeating "um" and "like" as a way to fill in silence. Instead, come up with some phrases that you can lead into an answer with such as "I'm glad you asked that" or "Great question." Pausing for those few seconds will give your brain time to find a starting point, rather than of rushing right into words and hoping the thoughts will follow. Shaking hands when you meet them is a simple yet effective gesture. Even if the interviewer doesn't extend their hand, offers yours anyway to be polite. Of course, be aware of the state of your hands. If your nerves have caused them to get sweaty or clammy, have something to wipe them with in your pocket just in case. Body language is a crucial communicator during interviews. The interviewer will study you and try to read what's on your mind through what you're exhibiting through your posture and movements. They'll also try to gauge what type of worker you are. The more you slouch the sloppier your work style might be interpreted. 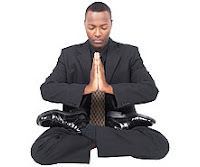 You should be relaxed in the interview and if there's any part of your body that has to be stiff should be your back. Hiring managers and interviewers want to see that their time was valued and appreciated. Interviews may be tough for you to get through but you should always end it on a good sincere note, as much as you want to get out of there as fast as possible. Be earnest in your goodbye and be sure to send a thank you note. In it, touch on some of the things you talked about to demonstrate your intent listening. The combination of a good first and last impression is hard for hiring managers to pass up. In a job market that has more job seekers than jobs available, those who are lucky enough to even snag an interview know just how precious getting that chance is. An interview is just a peek through the window into a job opportunity. You haven't actually gotten through the door until you know that the interview was successful in either getting you a second interview or, better yet, a job offer. Understand what you ultimately want in life. Knowing where you want to end up down the road can help you map your steps on the way to your destination. If you work as a retail manager, but have aspirations of owning your own business, start by mapping your way backwards and connect the dots from destination to current location. The best way to succeed in any job, let alone job interview, is to have genuine passion and interest for the position at hand. Acceptance for a job offer has to be like a marriage. Neither party will benefit if the partnership is founded solely on money and it will soon result in a lose/lose situation. If you and the company are compatible, you can share your future plans with the interviewer and they, too, can think about the best ways the position can help advance you toward those goals. Don't create a persona based on who you think they want to see. What you put on your resume and cover letter should be 100% accurately reflective of you. That's the first impression that the interviewer has of you. The only person they expect or want to see is the person they read about in person. A resume and cover letter is your pitch for why they should be interested. The interview is your chance to sell yourself and close the deal for why they should hire you. Remember that interviewers have gone through plenty of interviews and are well-seasoned in the process. They know that interviewees will be doing their best to impress but that kind of mentality can greatly alter a person's true personality thus making it difficult for the interviewer to pick a winning candidate. It's becoming more commonplace in the hiring process for a candidate to be offered a job because the interviewer took a liking to their personality. With that in mind, go into the interview without a front and you may be surprised at how comfortable it is being yourself around a complete stranger. Realize that you won't have all your questions answered, even after the interview. At the end of an interview, the interviewer will typically ask if you have any questions. Interviews are all about questions and answers, but much of the post-interview process is very vague. You'll be wondering things like: Are they going to call me? How long will it take to hear back? Whether the interview went well or not, you can never really know where you stand with the interviewer. Perhaps they did like you and gave you the impression that they wanted to offer you the position. There is a chance, however, that they could interview someone after you who blew them away and you may never know. Proper interviewing etiquette teaches us not to harass or annoy the interview with follow up questions. The only communication you should initiate with the interview after the interview is a thank you note. You have to stay optimistic knowing that your interview gave you a better chance than many other candidates. Your fate for that job may be out of your hands, but ultimately, you have control over your job search and any future interview that your efforts produce. Sweaty palms, accelerated heart rate, dry mouth. You've more than likely experienced those symptoms while waiting to be interviewed or in one. 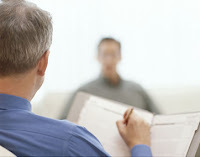 Being nervous for an interview is typical, everyone experiences some kind of anxiety before being evaluated for a job. For those who can't get a grip of their nerves, this can be a real problem. When you're nerves have gotten the best of you, you can't see the interview for what it really is: a chance for you and the hiring manager to meet and get to know one another. Instead, all that goes through you're mind is the how much is riding on doing well on this interview and the pressure building up. Interviews usually don't take place in your comfort zone, rather the hiring manager's, so naturally you'll feel at a disadvantage here. There is nothing familiar to you which can make you feel isolated. 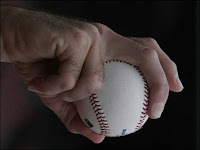 Whether your nerves simply cause you to react faster, slower, or not at all, taking control over them is essential to representing yourself accurately and make a good impression. Cracking in an interview often demonstrates to the hiring manager that you won't be able to handle pressures of the job. To help prove that you are capable, here are some interview tips for keeping your cool in a high-pressure interview. Think of the interviewer as being on your side. To be honest, they really are. Hiring managers wouldn't be interviewing with you if they weren't. They're giving you a shot at filling the position because they believe you have potential to do it. However, if you go into the interview thinking that they're setting you up for failure you might end up sabotaging yourself. They want to fill the position, and you have a shot at it. Show them that you are qualified and ready. uncomfortable but you have no control over your nervousness. Take your time in your speech as it can be a dead giveaway for how nervous you are. If you respond too quickly to a question, chances are you'll be wishing for a re-do. Know that mistakes will happen and accept it. Shooting for absolute perfection is an unrealistic expectation that will add unnecessary pressure which will make you more nervous than you may have already been. Instead, know that you may slip but have the confidence to pick yourself back up. Being able to come back from a fall in an interview is a good way to show the interviewer your problem solving skills. Don't assume or making guesses about things you're unsure of. If you don't know what to wear or are unfamiliar don't leave it until the last minute or to assumptions to figure it out. Call the Human Resources department if you must to get a clear answer of what they expect you to wear to the interview. Drive to the building beforehand so you have an idea of where to park, how long it takes to get there, the best route, etc. That way, when your interview day comes, you'll already be two steps ahead. Interviews aren't as hard as they seem. The actual hard part is beating the other candidates with your ability to connect and "wow" the interviewer. Whether in-person or through video, your likability needs to be at on-point throughout. Assume that the other interviewers are going to have nearly perfect interviews, so yours needs to be impeccable. The pressure is on, but it's important to use it to propel you rather than overwhelm you with nerves. You might think that in order for your interview to be flawless, every little detail has to be calculated. Attempting to do that though will end up leading to more stress. Dressing to impress is basic interviewing advice but that doesn't mean everyone has it down. Your appearance is just as important as your tone, language, and body movements. 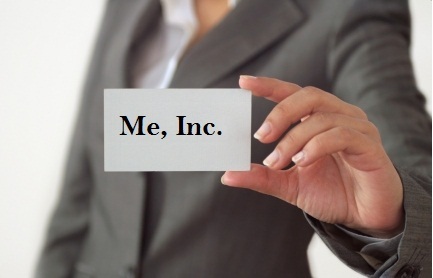 When you want a potential employer to invest in employing you, you have to market yourself as a whole package. When in doubt, it's definitely better to overdress than underdress, but there is a fine line between overdressing and overdoing it. A professional look needs to be polished, but not necessarily formal. When doing your research, try to get a feel for what kind of tone and vibe the company has and aim to match your attire to it. This means going much further than a entering it into Google and browsing through the company's website. Doing adequate background research into the company means digging deeper into the crevices of the internet. Search trade publications to see if the company may have won awards or gotten recognition in its industry. Your research should give you a better understanding on the company and latest trends within the field. The more knowledgeable you are on the company's history and the direction it's going, it will make for better conversation and questions during the interview. Companies will often ask tough questions to throw off the candidate to see how well they recover. They're testing your ability to think quickly under pressure. The key is to think your answer through before saying anything. Some people might attempt to just start talking hoping that the answer will come to them along the way. Make sure that whatever kind of question it is--whether it's what kind of animal you would be or what your favorite move is--that your answer ties into your qualities as an employee. Your ability to answer the question without stumbling will prove to the interviewer that you have what it takes to handle the everyday stresses of the office. 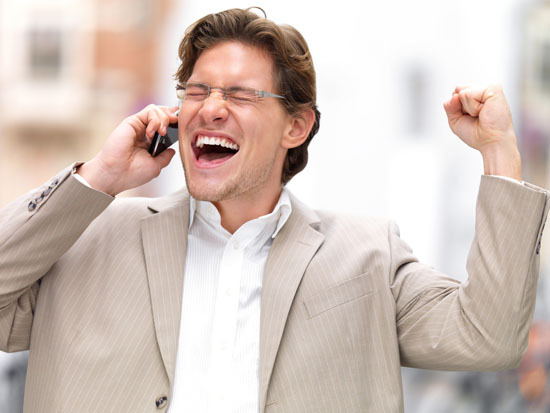 Getting job offer after an interview is usually determined by how well you did in it. The excitement of getting a callback is often quickly diminished by the nerves associated with the fact that it could also make or break your chances of getting employed. Cover all the bases in your research. There is no area not worth familiarizing yourself with even if you feel like it won't be an issue during the interview. Interviews want to see that you also took the time to find out when the company was founded, who founded it, what awards it may have won, etc. Many companies provide this information and if they don't, use it as a chance to demonstrate your investigative abilities. Don't forget to connect with the company's social media profiles to keep yourself in the loop. Plus, you might be able to meet some connections that way. Be ready to fire away your talking points. You might think that it's better to come up with a response when prompted so as not to sound as if you're reciting lines. However, there's nothing more reassuring in an interview than walking in knowing your answer is has been practiced and smoothed out. In fact, it shows the interviewer that you put a lot of thought behind it and came readily prepared. One reason that it's hard to carry on a conversation in an interview is that you're talking to someone you've just met. Remember that the interviewer is not there to intimidate you. They want to get to know you and relate that to how you would be as one of their employees. On that note, be sure to refer back to your resume. Don't assume that they were able to spend the same amount of time studying it. They'll expect you to explain its details during your chat. Don't overlook the expected questions. It's easy to forget about the questions that should be a breeze to answer. Neglecting to go over them anyway could end up being what trips you up. These will be questions pertaining to why you left a certain job or what you did during the gap in between jobs. Answering them doesn't require divulging too many specifics but they should be constructed in a way that gives the interviewer a clear understanding of how the situation played out. Careful wording is especially important as you don't want your answers to sound like excuses. When it comes to talking about your strengths and weaknesses, the key is to avoid selling yourself short or coming off as boasting. Humble answers show the interviewer that you didn't develop an ego over the years and didn't let your weaknesses hinder your competence. Mention what you do to stay at the top of your game such as the books you study, courses you attend, or organizations you are affiliated with. Got nothing? There's no better time to start than now. Connect the dots between you and the job. 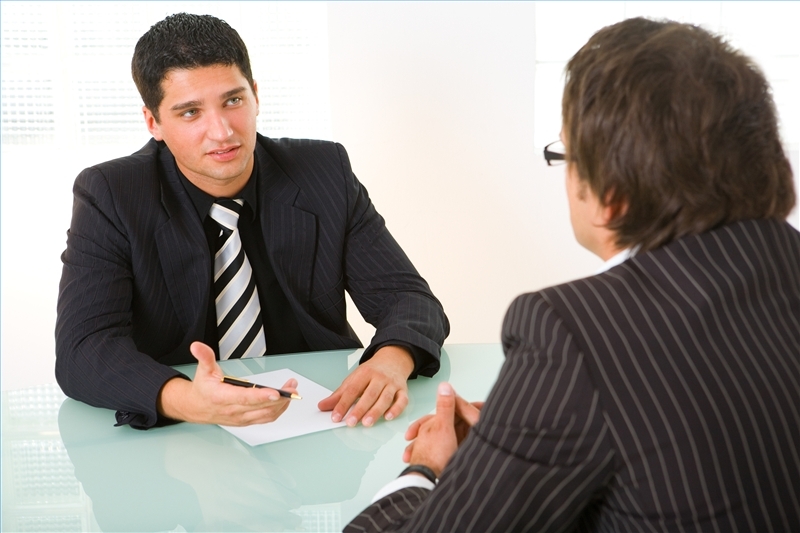 Give the interviewer reasons for why giving you the job would not only be a mutual benefit but a sensible decision. When it makes sense to hire you, why wouldn't they then, right? Explain to them how investing in you will be money well spent. And when talks turn to compensation, don't be afraid to speak up. If you have number in mind, be ready to justify it with support. This may take doing some research as well. A fair figure, even if it is lower than what you've made at previous jobs, is easier for everyone to agree upon. Taking into account that time is money, you want to show your appreciation that the interviewer spent some of theirs getting to know you. Showing that you to took time to show them that courtesy first is the best way. The more preparation you do before the interview can help you provide the kind of answers needed to pass this test with flying colors. Once you land an interview, things can only go uphill from there. It's a different story once you enter the interview. The steps for doing well in an interview have to do with more than having appropriate etiquette. You can go through the motions but hiring managers have a trained eye for catching things that may seem slightly off. You already know that making a good impression on the interviewer is key if you want to stand a chance for a call back or job offer. But how you ask? Unfortunately, there is no clear answer. Much of it does have to do, however, with your likeability. Impressing the interviewer has nothing to do with being able to brag about your resume. You want them to see you as an individual with something to offer. Tell yourself you are the complete package and then show them how. 2) Think twice about every word. Starting off the interview by saying you want the job is a bad idea. The fact that you're in a job interview is obvious enought that you want a job but don't say that this is the one you want. Firstly, you're making a premature commitment before considering all the terms and details. Secondly, you don't know if after the interview you will still want the job. Thinking through everything you say before vocalizing it will keep you from wishing you could take something back. Don't ask questions with the sole intention of impressing the interviewer. The questions you ask should be relevant to your work style and pertain to whether you would be a good fit for the position. Ask things like, who would you work with, who you would report to, etc. Interviews are two-way conversations, and the more natural-feeling they are the better. Don't be afraid to ask several questions. 4) Equip yourself with a secret weapon. Hiring managers interview so many people on a regular basis that it's hard to remember every single person that came through their doors. This is why you need to prepare a sort of clincher that will hook the interviewer. This could be a memorable item of clothing (still interview appropriate, of course), a funny story, a shared interest, or something unique about yourself. Use this to trademark yourself like how a character from a show will use a catchphrase to be remembered by. 5) Have your most valuable work attributes memorized. By being able to list off what you can contribute to the company, it shows that there isn't a shadow of a doubt that you know what you're worth. After researching a company and learning about their needs and goals, think about which of your skills can benefit them. Share what you've done in the past that makes you particularly ideal for the position. Interviewers will be able to judge your compatibility with the job responsibilities. 6) Play down your shortcomings. You may not have everything they've ever wanted and more in a job candidate but don't let that keep you from being an ideal one. If they ask if you have experience in a certain area that you don't, just be honest. Avoid saying anything with negative words like "can't," or "don't." If there's something you're missing, present something else to them that may balance things out. 7) Solidify your meeting with the proper follow up. The right follow up can be just what was needed to seal the deal. Handwritten notes are personal and have a bigger impact on the recipient. It's also a good way to show the interviewer that you were attentive during your converstation and took it to heart. Leave a personal touch that shows gratitude for the opportunity. 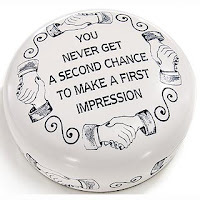 The right kind of last impression has potential to make up for a so-so first one. Going into an interview for a job that you desperately want can give you a feeling similar to stage fright. The pressure from wanting to impress someone can bring on terrible nerves. They say that the more practice you get from doing something, the easier it gets. This doesn't apply as much with interviews because no two interview experiences are the same. On the other hand, the skills required for every interview are the same whether you're applying to a small family-owned company or a million dollar corporation. Something that you'll learn from your interviewing experiences is that you will learn something new each time. Interviewers like to change things up with the questions they ask so you'll often have to think on your feet. The things that you can control, though, are what you should have no problem with. Match the employees: Some hiring managers will tell you whether they expect you to dress differently than the typical interview attire. You should always be under the impression to dress on the nicer side. The feeling of being underdressed in an interview is much worse that being overdressed. Be cautious of overkill though. You attire should impress in subtle ways. Avoid flattery: Flattering the interviewer is doing a bit too much. Schmoozing during an interview is an unwelcome tactic from hiring managers. Making an impression is meaningless if you end up making the wrong kind. Direct your comments away from observations of their appearance and talk about something that you notice you have in common with the interviewer. Present your resume: It's typical practice to bring in all and any necessary documents to an interview such as resumes, cover letters, business cards, etc. Instead of waiting for the interviewer to ask you, offer them at the start of the interview. If there's something you want the interviewer to notice, don't assume that they will. Confirm it by bringing it up. Prepared questions: Not having any at the end of the interview can make it seem like you're not invested in getting the position. Asking questions is how the interviewer gauges your interest in the company and the job. Of course, save the money questions for a later time either in another interview or when a job is offered. The first interview should focus on what you can bring to the table and how your contributed efforts will benefit the company's growth. Being able to do well in an interview has a lot to do with your ability to read the interviewer and feel out the situation. Building a rapport and connecting with interviewer is important to getting the job, but doing this easy. Forcing this type of interaction is obvious especially when it's due to nerves. The key to being relaxed in this situation is preparing yourself well enough to walk in radiating with confidence. Dress clothes, check! Copies of resume, check! Notepad and pen, check! Missing something? One other thing that many interviewers fail to adequately prepare for are the questions they'll have when the interviewer inevitably asks at the end of the interview, "Do you have any questions?" Preparing for an interview is like getting ready for your first day of class. Being unprepared can be pretty embarrassing, especally in an interview when you can't turn to anyone else and ask to borrow something. Not to mention that your every word and move is being critiqued. Job seekers often get so wrapped up in perfect their answers that they overlooking putting together well-thought out questions. What's worse than not asking the right questions are not asking any at all. Knowing that you'll be expected to say something, it's better to make it count. So how do you know which kinds of questions are the right ones to ask? Well, for starters it's not asking any of the wrong ones. 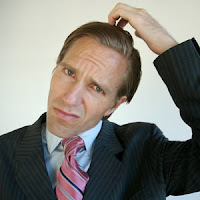 The wrong questions include things such as salary, benefits, holidays, vacation time, etc. These questions show what's really on your mind and that they have nothing to do with the actual job or company. Your want to convince the company that you're there for them, not yourself. What was it that brought you to this company? Every one has their own, unique reason for ending up where they do. Learning what those reasons are can tell you a lot about them. Asking the interviewer what their reason was expresses your genuine interest for who they are. It also provides some insight as to their values and personal view of the company. This is a basic and straight-forward question. It's an opportunity for the interviewer to tell you the good parts about working for the company as well as its strengths as an employer. Plus, it's another way to show interest in the interviewer's perspective. Knowing what the company's culture is like is very important to determining whether you would be a good fit there. Asking during the interviews shows that you're thinking ahead. Interviewers are always taking into consideration your thought process based on your questions. This questions is an effective way of making a good impression. What about the company do you think needs changes? You can probably bet that not a lot of other candidates are asking this question. It's typically not something that many job seekers think about when they enter an interview. Companies are all about change and improvement. They want individuals who always have, "Now how can I make this better?" on their minds. Aside from potential brownie points, you'll also learn about what the interviewer thinks the company's weaknesses are. Being armed with strong questions in an interview is just as important as delivering strong answers. You want your words to be effective and prompt the interviewer to do some deep thinking of their own. Often times, it's your questions that make them remember you, not your answers. Networking and personal branding are all apart of the job searching process. Looking at it from a business perspective, you are a product that you want to sell to the company. In order to get them to buy, you have to have the entire package; that including the eye-pleasing wrapping on the outside. Any interviewee who walks into an interview thinking that he or she can win the interviewer over with just their words and charm will walk back out with no more chance of getting hired than when they walked in. People always say not to judge a book by its cover but those rules don't apply in the job market. When there are hundreds of people vying for the same position, employers can more easily base their decision on merit when distracting fashion statements aren't in the way. The sharper you look, however, is always an advantage. In reality, a suit is a suit. The things that set them apart don't vary much as they all will have the same general compenents: jacket, shirt, tie, and pants. Things like color, cut, and material will also come into play when it comes to how nice a suit looks but the number one thing is fit. Even with the nicest, most expensive suit on, if it doesn't look nearly made just for you, it's not going to be flattering. Make sure your accessory choices don't overwhelm your outfit. Keep it simple while adding some flair to your look. Accessories and jewelry can give your look that extra oomph to show that you have a good sense of fashion style and taste. Employers will be impressed with your ability to refine a conservative look. A black pencil skirt is basic yet versatile. It can be as dressed up or down as the wearer. The thing about pencil skirts is that they are difficult to make look bad. Their style and length allow them to retain that professional, classy look that employers expect to see from serious candidates. In this case, we're not referring to the content that comprises your portfolio but the actual object itself. This applies to both men and women. It wouldn't be entirely appropriate for men to bring a suitcase in for their interview when the interviewer can already assume that there isn't much in there besides a few copies of resumes and a pen. Ladies, next to your mints and keys is no place to stuff professional documents. Instead of using your purse as a makeshift folder, get a nice leather portfolio to keep your papers, notepad, pen, and even tablet in. A specific one you can wear to work, that is. Black is a good color because it's safe from making stains obvious and can flatter any body type. The key is to get a cut and style right for your shape to make sure that it doesn't show off too much skin. It doesn't have to be a drape, but it does need to remain professionally conservative. Everyone knows that shoes make the outfit. No matter how nice it is, your shoes will define how others perceive it. To guarantee that you'll look sharp, make sure to wear shoes that are shined, polished, and accentuate your attire. They should be dark and very simple. Your outfit needs to be one complete piece and the shoes are the cherries on top (or in this case, bottom). Dress shirts are great because you can wear them with that classic pencil skirt or with dressy work trousers. These need extra care, however. Ironing is very important in the appearance. Wrinkled clothes are the antithesis of looking sharp. These, too, should be a simple basic color like white, black, gray, or brown. While this has more to do with grooming rather than apparel, it's part of the whole package. Guys with long, dirty fingernails are better off staying home than showing up with grimy nails. Ladies also need to keep theirs nicely manicured, nothing too crazy or loud. The focus should be on the content of the interview, not on 2-inch long leopard nails. Ties and pantyhose are good to have around. They serve as that subtle addition to boost your outfit. Guys will look that much sharper and ladies that much refined. In the professional world, looking good means having style without having to flaunt too much. The corporate world wants people who can talk the talk and walk the walk without all the bells and whistles. Your social media profiles are a representation of who you are and potential employers want to see how you represent yourself. Naturally, they're going to be curious as to whether you the same online as you are in-person. The fact of the matter is that in our digital world, you have to stay current with the times and that means having an online presence for any and all purposes. To speed up the hiring process, hiring managers will turn to their online resources to find the best candidate. If you're not putting yourself out there properly it can hurt your chances despite having an immpecable resume. To beat the competition, you have to deliver everywhere it counts. It's hard to draw a line between the right and wrong way to employ social media in your job search. What is clear is knowing which approaches are more effective than others. Much of that will come from using your own judgment but it should also be balanced out with thorough research. Using social media to set up informational interviews are also great way to go. 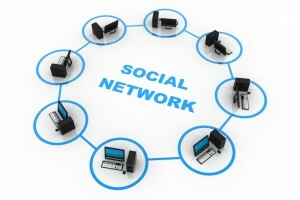 Social media platforms allow for a direct communication to individuals within the industry. You don't have to worry getting your foot in the door anymore, you're already in the room. The challenge is working it in your favor. At a minimum, you'll want to get on the major sites such as LinkedIn, Twitter, and Facebook. When reaching out to employers via social media, you have to remember that they're doing you a favor by responding to you. You're more likely to get people to do favors for you when you make them as simple as possible. Know your M.O. : Don't make any moves before you draw up a plan first. Think about what you're going to say and have a reason for reaching out to a particular person. Don't just send out mass emails hoping someone will bite. No one will. Short and sweet: Have a point and make it. Give them the pertinent information and be on your way that way they can help you and be on theirs. Establish common ground: If you notice or find out that you and that person share an interest then point that out. It may make them more inclined to get back to you. Spell it out: Don't be vague by any means. Try to make it as clear as you possibly can without rambling on for pages upon pages. Just be concise. They will not try to figure out what you're trying to say. Rememeber, the key here is SIMPLE. Explain to them what you're looking for and why. Social media is your job-search friend, as long as you know what you're doing. Even though it has the word "social" in it, you should still be as professional and polite as you would in person. After all, the point is to get closer to a face-to-face meeting. Interviewers will always ask at the end of an interview if you have any questions. They want to know what your thought process was during the process. Usually, if the interviewee's questions can extend into a substantial conversation, it increases the chances of getting hired. The longer you two talk, the more the interviewer will remember you and that's exactly what you want. It's hard to engage in a good conversation with a weak question. Most of the time it's better not to ask questions that aren't worth it as it will seem like you're forcing it. 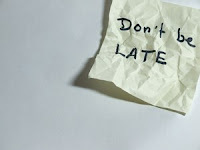 Interviewers can tell when you are and don't appreciate have their time wasted. 1) How would you describe a typical day or week of in this position? This is a good starting question to get more details for visualizing what working for them would really be like. It shows that you're thinking beyond the summarized job desciption and want to get a deeper understanding of what being in that position would entail. 2) What types of challenges does a person in this position encounter? Realistic people know that it's not always going to be a walk in the park, especially not in the beginning. By getting an early sense of what's to come, you give yourself an advantage. The interviewer will see that you expect to face challenges and are willing to take them on. 3) How do you measure success for this postion? This questions lets the interviewer know that you want to do well in this position. Asking what your expectations are shows that you're thinking ahead and that you intend to be a good hiring choice. Interviewers like this because it shows initiative and careful thought. 4) What is your managing style like? Managers want to hire an employee who will be compatible with the company just as much as you want to work under a manager you won't clash with. This question clarifies each person's work style and personalities so that you both can get an idea of what working together may be like. 5) Is there anything else about me you might be unsure of and want to ask? Allowing the interviewer a chance to be honest about any reservations he or she might have and you have a chance to address them. This eliminates any chance of walking out of the interview with doubts about your impression. Opening up communication like this lets you and the interviewerw feel comfortable around one another making it easier for him or her to consider you for hiring. 6) How would you describe the work culture here? You want to know who thrives and who doesn't. Learning about the types of people who succeed in the company gives you and the interviewer a better judgment of whether you will be able to, too. Each company operates in its own particular way, learning how your work style will fit into that is crucial to you and the rest of the employees. 7) When you think about the person who did best in this position, how did you see this in his or her performance? Any hiring manager can appreciate when a candidate shows that they want to not only meet expectation but exceed them as well. Learning about what the best person was able to do shows that them you want to be better. 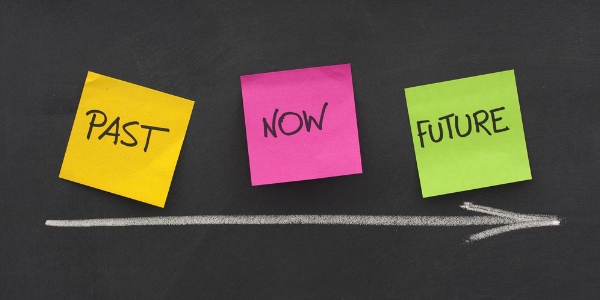 8) What is the time frame that you get back to candidates for the next steps? You always want to end the interview with this question. It shows that this interview is important to you and that you sincerely care whether you hear back. Plus, if you don't, at least you won't be left hanging. You'll definitely want to check your breath, but it isn't one of the first thing an interviewer is going to take note on when you walk in. Interviewers are looking for certain things from you to mark off on their mental checklists. 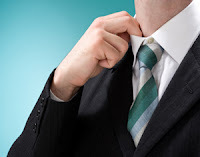 Take a look at some of the things that, along with your breath, you should prep for to make the best first impression. As soon as an interview is notified of your arrival, they're going to be looking at the time you came in. If you're at all late, by one minute or ten, you've just earned your first strike. Arrive too early and you put the interviewer in an awkward position. If they're in the middle of something, they may feel rushed to greet you. Stick to getting there no earlier than five to ten minutes as it bests shows punctuality and good time management. If you're unfamiliar with the area of the interview location, make a visit beforehand so you know the best route and the amount of time it takes to get there. When taking into account whether you presented yourself appropriately they're looking beyond clothing. They'll be checking to see if you're well-groomed and clean. 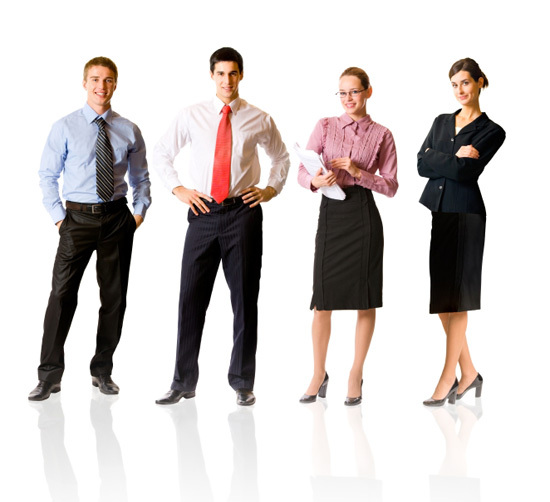 Make sure that what you wear is right for the company, some places won't require you to wear a business suit. If you're still scratching your head, ask the person who set up the interview with you or even the receptionist what the proper attire is. Also keep in mind things like nail polish color, accessories, and body jewelry. Think about what you would expect someone at that company to be wearing and try to emulate that. You may not be saying anything but your body could be giving you away. Being aware of your mannerisms is very important. Hiring managers are good at picking up on the unsaid. If you're fidgety, slouching ,or being too stiff, you could be coming off as uncomfortable and not a good fit for the company. Professionals who have to sit through regular meetings wouldn't be caught tapping their feet or swiveling around in their chairs. Doing that in your interview won't do you any good either. Quick tip in Listening 101: Make sure to have eye contact, just remember to unlock your gaze every now and then so as not to be too intense. Your ability to communicate well is a huge deal to interviewers. They want to bring people aboard who they can bounce ideas off of and work on projects with. Teamwork relies on good communication. Mumbling, using slang, or saying "um" after every word is hard enough to listen to let along try to work along side of. Take your time with your answers and make sure that you're clear, audible, and making sense. Get a feel for the interviewer's communication style--mellow, energetic, etc.-- and get as close to it as possible to make it easier for them to understand you. A huge mistake is to forget to bring something that was required of you. Bringing a copy of your resume is a common request from hiring managers but you should do this anyway along with any other work-related documents. Things like a portfolio, cover letter, pen and notepad are good things to bring with you. Sort of like being prepared with the necessary materials for class, you want to bring anything with a slight chance you may need it. If you've done your homework on the company then it will reflect in your preparedness. Most companies will expect you to know some of their background and history. Nothing can make up for the lack of qualifications for a position. Resumes and cover letters are just introductions, like the impression before the first impresion. The interview is your chance to prove yourself. Stay focused on tying together your past experiences and accomplishments with the new positions. You want the interviewer to feel like you were born for this job and it's up to you to convince them of that.